Review the On-Farm Food Safety and Traceability Program website, alongside the Program Guide, for information about the program – and decide if this program is right for your company. If so, click here To Apply. 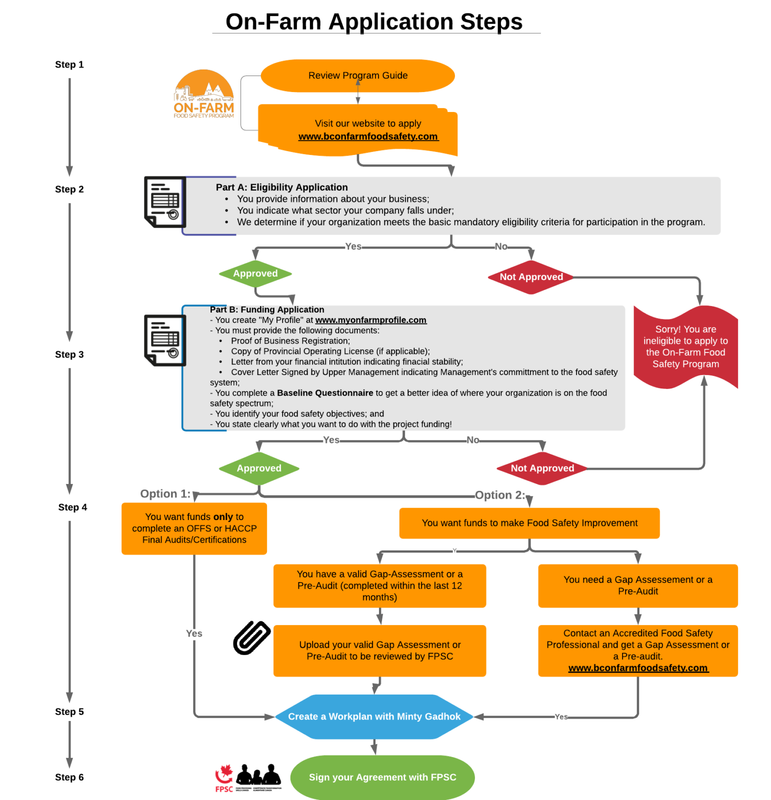 The On-Farm Program has a two-part online application process, Part A and Part B. In this step, we’ll start by completing the first half of the application process, which is Part A. If applying for HACCP certification only, and not any food safety improvements, you are not required to submit a OFFS valid form of assessment. What is a Workplan? In the On-Farm Program, a “Workplan” is a form that documents all activities that you are seeking cost-sharing funding for. The Workplan spreadsheet identifies the cost of each proposed activity – outlining your financial contribution, and the amount that the program Registrar will reimburse with project funding. Your Workplan is a very important document, it will follow you throughout the duration of the program. Congratulations, you can start your project.